The continuous explosion of video and mobile traffic drove 4.7 zettabytes, or almost five trillion gigabytes of data center traffic in 2015, per Cisco’s Global Cloud Index. Every kilobyte of external traffic entering the data center generates approximately 930 kilobytes of internal traffic, and almost 80% of that traffic is East-West or remains within the data center, subject to the risk of bandwidth bottlenecks. To handle this tsunami of data traffic, Cloud Data Center operators such as Amazon, Microsoft, Google and Facebook are rapidly building out their data centers and simultaneously boosting connectivity by extending data delivery speeds to 100G and 400G and beyond. 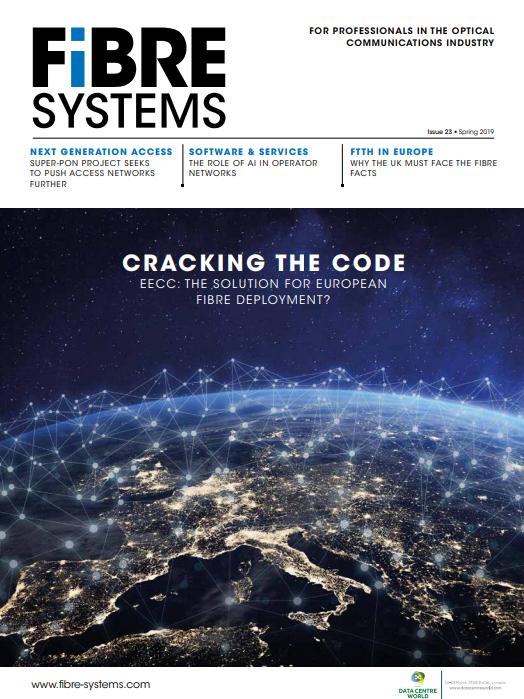 Space savings, power consumption and cost efficiencies are the critical considerations guiding data center operators’ infrastructure build-out strategies as they seek to lower their average per-bit delivery costs. It is therefore imperative that they maximize the data throughput per faceplate in their data center switches at the lowest possible cost, resulting in maximized bandwidth density in Cloud Data Centers, it is essential to improve the integration of analog and photonic content within the module, be it a CFP, CFP2, CFP4, QSFP28, OSFP or QSFP-DD form factor. In parallel, as is the case with network service providers, Cloud Data Centers need to maximize the data throughput over their installed fiber in a cost efficient manner. Advanced modulation schemes that are efficient to implement in Silicon such as PAM-4 increase the amount of data transmitted over each existing fiber connection while reducing the cost per bit significantly, hence the importance of PAM-4 as a key technology in next generation data centers. Individual Cloud Data Centers also need to be connected to each other at high bandwidth speeds to meet resiliency and data redundancy requirements, spanning distances up to 100km. Data center interconnects (DCIs) are therefore rapidly transitioning to 100G and 400G, driving a tremendous demand for high-speed metro optical links, where MACOM holds leading market positions in product categories, including laser drivers, transimpedance amplifiers and clock an data recovery integrated circuits. MACOM has enabled over a million 100G modules going into data center and enterprise applications. This number is beyond even the largest projections reported by market analysts to date, and includes leadership positions in long reach and short reach laser and VCSEL drivers, CDRs and TIAs. We believe this is just the beginning of a ramp that will see demand for 100G connectivity within data centers triple over the next four years. Moving into the second half of 2017 MACOM expects to more than double port shipments into these applications. We expect that 100G optical market growth will continue to exceed current analyst forecasts over the next two to three years, primarily driven by Cloud Data Center demand for high bandwidth connectivity. Building on top of this strong foundation of high-performance analog content and leveraging our advanced Etched Facet Technology (EFT), MACOM is optimally positioned to capitalize on the 100G opportunity in Cloud Data Centers, replicating the breakthrough cost structure reductions that we previously achieved in passive optical networks (PON) – the world’s largest unit volume and cost sensitive Indium Phosphide (InP)-based laser market. EFT harnesses the cost structure advantages of wafer-scale manufacturing to deliver technical and economic advantages that overcome the inherent limitations of conventional Cleaved Facet Technology (CFT), significantly reducing the cost of manufacturing lasers for optical transceiver modules. Lasers formed with CFT are mechanically cleaved, an imprecise, hit-or-miss process that can cause myriad anomalies affecting light emission accuracy, thereby increasing the risk of laser defects. In contrast, the high precision chemical etching inherent to EFT minimizes defects to maximize overall yield. This reduces the overall cost of manufacturing lasers, and subsequently enables a more cost effective end solution. Electron-beam lithography is integral to MACOM’s EFT laser implementation of Distributed Feedback lasers, enabling the high precision gradings necessary to achieve the desired wavelength control. Whereas suppliers employing CFT must cleave their wafers into bars to form the facets of the laser cavities, MACOM’s EFT approach enables wafer-level processing that allows fully functional lasers to be formed on the full wafer. Bar-level testing of CFT lasers is expensive and typically limited to room temperature testing, while full temperature range testing is very cost-effective for wafer-level EFT lasers and ultimately eliminates the downstream packaging of any defective lasers. The inherent benefits of EFT are embodied in MACOM’s portfolio of 25G lasers for 100G Cloud Data Center applications. Leveraging our in-house, wafer-scale InP manufacturing, our 25G laser portfolio reflects MACOM’s cost and capacity advantages over incumbent laser suppliers, and solidifies our industry leadership in enabling the explosive growth of Cloud Data Centers. Building on our success with EFT lasers, MACOM has moved quickly to exploit EFT to enable the seamless integration of optical devices spanning lasers, modulators and multiplexer onto a single chip, yielding the industry’s first silicon photonic integrated circuit (PIC) integrated with lasers (L-PIC™) for 100G. By solving the key challenge of aligning lasers to the silicon PIC with high yield and high coupling efficiency, MACOM is making the adoption of silicon PICs a reality for high speed, high density optical interconnects in Cloud Data Centers. With the recent definitive agreement to acquire AppliedMicro, MACOM plans to solidify its technology leadership by marrying APM’s PAM-4 100G Single-lambda PHY technology that increases bandwidth density by 4X with MACOM’s L-PIC, and combined with the PHY will enable a highly streamlined 400G transceiver that will quadruple the data throughput over existing fiber infrastructure. The completion of the portfolio on the PAM-4, analog and photonic side positions us for PAM-4 adoption not just at 100G, but more importantly at 400G. Within the data centers, there are two standards – to date everything has been NRZ, which uses MACOM 25G lasers, 100G laser drivers, VCSEL drivers and CDRs. The second is PAM-4 modulation, a key element moving to 400G. For 100G transceivers, single-wavelength PAM-4 technology reduces the number of lasers to one and eliminates the need for optical multiplexing. For 400G implementations, only four optical assemblies are needed, representing a major opportunity for data center operators to reduce their CAPEX and OPEX with an extremely compact and energy efficient module. MACOM estimates more than half of the industry will be moving forward with PAM-4 within data centers at 100G. The future integration of AppliedMicro and MACOM will combine our analog and photonic content for the complete front end capability, combined with the DSP in the PHY with SerDes as well as data converters. The wisdom of this approach was recently ratified by the IEEE, who announced standardization around the proposal which was championed by AppliedMicro and Cisco to implement single lambda PAM-4 as the industry standard for both 100G and 400G. The continued strategic expansion of MACOM’s product portfolio for Cloud Data Centers will encompass key protocols and span all formats, giving MACOM the agility to respond quickly to evolving market dynamics. Our flagship products are technology agnostic, and can be readily deployed to meet the unique needs of our tier-one customers. MACOM’s competencies in Cloud Data Center connectivity enable us to provide customers with the entire optical subassembly, leveraging our portfolio of transmit optical subassemblies (TOSAs) and receive optical subassemblies (ROSAs) to optimize and validate chip-level semiconductor integration and packaging. For customers who may not have in-house optical packaging expertise, MACOM can provide the subassembly and/or reference designs that enable them to take advantage of our advanced optical components to speed the development of next generation optical transceivers. Applying our unique combination of expertise in the analog and photonics technology disciplines, MACOM provides the seamlessly integrated content required for cost optimized optical components that light the path from 100G to 400G in long haul, metro and Cloud Data Centers. We deliver the enabling technologies that allow our customers to lead the industry with breakthrough advancements in bandwidth density, innovating next-generation network infrastructure that transforms global connectivity.